The season of giving doesn’t mean you have to drain your bank account or max out your credit cards. Believe it or not, most people prefer spending time and making memories with loved ones versus receiving a gift that loses usefulness over time. Aaaaahhhhh, the holidays. So many festive decorations to hang, sweet treats to eat, Lifetime channel holiday movies to watch … And then there’s the stress of it all – especially if you’re strapped for cash to pay for holiday gifts. Fret not! 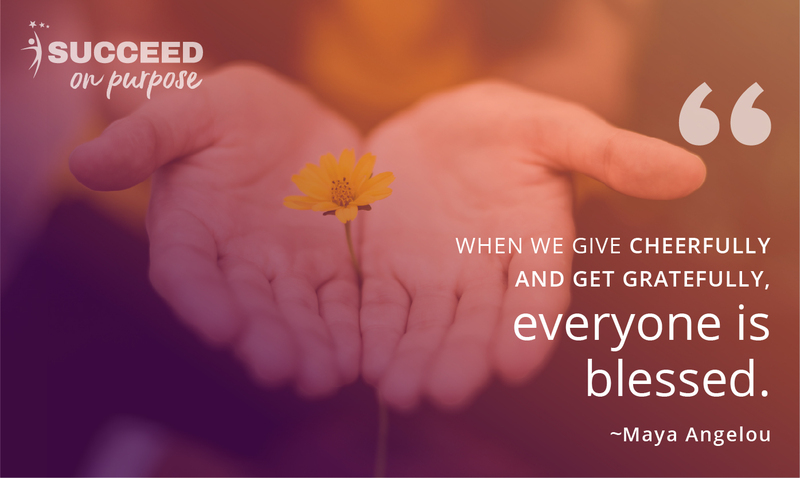 The advent of the season of giving doesn’t mean you have to drain your bank account or max out your credit cards. Believe it or not, most people prefer spending time and making memories with loved ones versus receiving a gift that loses usefulness over time. Think about it. What holiday memories do you cherish most? Do you even remember what Santa left under the Christmas tree for you when you were 10 (aside from the Playstation, which was AWESOME)? Or do your favorite holiday memories involve hanging out with your grandparents, decorating sugar cookies with mom, playing games with your out-of-town cousins or singing with your sister in the church choir? Sure, it’s fun to give gifts when you can afford to do so, and people enjoy getting cool stuff. However, the gifts people remember most are usually those that have a purpose behind them. Giving the gift of time really shows you value the recipient. Are you at a loss for what to give this holiday? No worries! We’ve prepared the handy list below for a little inspiration. No. 1: Invite friends to quarterly dinners at your place. With this gift, you commit to breaking bread together four times during the year. Simply plan the menu based on your current financial means – pizza and beer during the lean times, steak and champagne when your ship comes in. Spending regular quality time together can be very impactful for you and the recipients alike. No. 2: Say “yes” to attending an event you would normally pass on. Has your best friend been nagging you to see a movie, attend a craft fair, try paint ball, take a spin class or go to an art show? Promise to say “yes” – no questions asked – the next time they ask. Not only are you agreeing to share time with your friend to do something they enjoy, you get to experience something new, too. No. 3: Plan a family outing or trip. This gift of time can also evolve as your finances do. Day trips work well on tight budgets, so scout your local area for options like a picnic at the park, visit to a wacky tourist attraction or tickets to a minor league baseball game. Should the day come when you can afford to take mom and dad on a cruise or a trip to New York City – go for it! Then follow up with a framed photo and other mementos after the event. No. 4: Schedule regular visits with an elderly friend or relative. Seniors, especially those who live alone, often struggle with loneliness. As your gift, ask your elderly loved one to pick a day each month – say the first Sunday – when you can stop by for coffee, conversation, a game of cards or checkers, or to accompany them to religious services. Companionship heals hearts. No. 5: Book time to hang out with the younger set. If you have nieces, nephews, younger siblings, godchildren or other kids you adore, plan regular get-togethers with them. You can visit a local playground, have a pizza and video game party or take them to a museum or sporting event. Not only will the kids have fun spending time with you, their parents will appreciate the gift of extra free time to relax or catch up with friends. No. 6: Invite someone you love to take a class or explore opportunities for personal and career growth with you. At Succeed On Purpose we offer a number of free and low-cost tools to help people overcome fears, find their purpose and experience life and career growth. Our FREE "Fear Of" Quiz is a great place to start. We also offer On-Demand Training programs and coaching sessions with Succeed On Purpose founder and CEO Terri Maxwell designed to help you Get Real. Be You. Have More. Perfect for giving the gift of time, we are offering a Buy-One-Give-One opportunity to invite that special person in your life. Use the code BUYONESHAREONE to receive two On-Demand Training programs for the price of one. Ready to launch your new purposeful business enterprise? Use code "TIMETOLAUNCH" to receive 25% off our Business Launch Small Group Coaching Program! 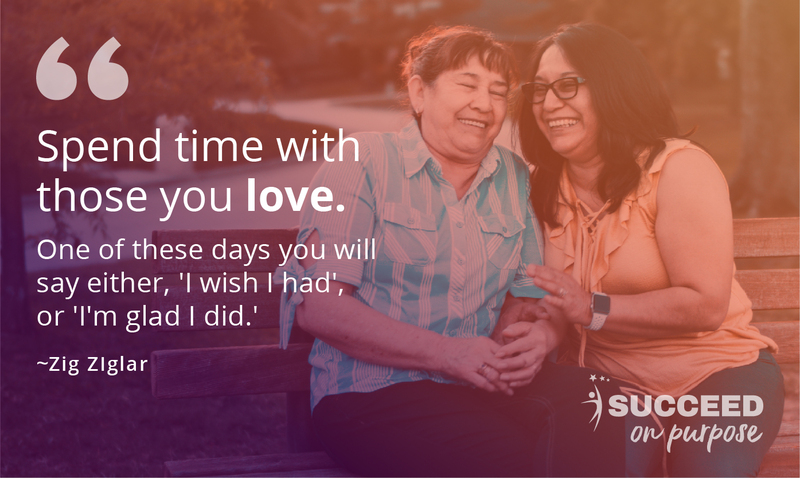 Spending time with a loved one may seem like a simple gift. However, being present and building memories together are priceless gifts your friends and family will always cherish, regardless of your financial situation. So what are you waiting for? Grab your calendar and start giving now.